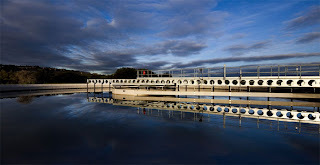 Mayor of Fingal Cllr Gerry McGuire today officially opened the new purpose built 65,000 PE (population equivalent) wastewater treatment plant at Portrane which provides a modern waste water treatment solution for the nearby communities of Portrane, Donabate, Rush and Lusk, greatly benefitting the local environment. Prior to the completion of the Portrane plant, the four communities had separate waste water schemes including combinations of treatment, septic tanks and discharges of effluent to the Rogerstown Estuary and untreated marine discharge to the Irish Sea. The new plant will treat waste from the population equivalent of 65,000, which broadly equates to the household wastewater from 45,000 people along with the waste that arises in the schools, businesses and industry within a population of that size. 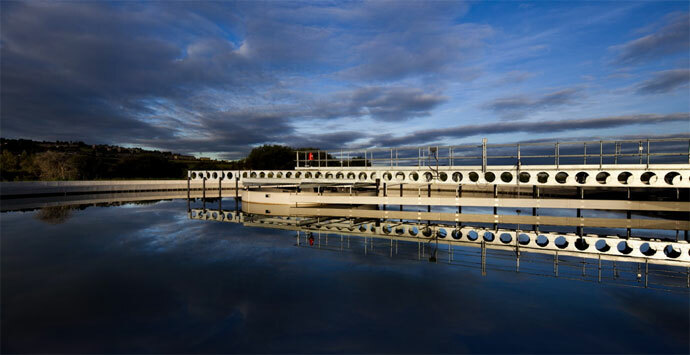 The new Portrane plant provides an environmentally friendly sustainable treatment and effluent discharge option that will enhance the local environment, its ecology and the amenities along the north Fingal coast. The scheme is focused on the protection of the Rogerstown Estuary, and the local bathing and shellfish waters. 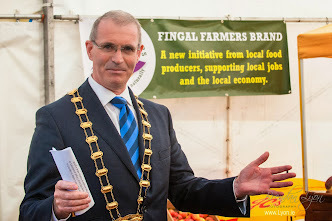 Speaking at the launch, the Mayor of Fingal, Cllr. Gerry McGuire said, “As a local resident I’m delighted to officially open this new wastewater treatment plant which will eliminate effluent discharges into the Rogerstown Estuary and minimise overflows caused by wet weather conditions leading to an overall improvement in the water quality of the Portrane coastline”. “We recently regained our Blue Flag in Portrane, one of 4 flags awarded to Fingal just last week and I know both the local residents and the many visitors to the magnificent beaches along the Fingal coastline are delighted that public investment in modern infrastructure like this continues to protect the designated environmental areas and the high amenity value of the Fingal coast”, the Mayor said. “Residents in Donabate and Portrane have been extremely patient with the necessary road restrictions and poor road conditions that have been an unfortunate but unavoidable side effect of this important job”, the Mayor said. “I’m very grateful to everyone for their patience and understanding and I have been assured by project engineers that traffic restrictions are all but lifted and that the road will be fully reinstated once all connections to the new system are completed in the coming months”.